I've been reading a book about the life and influence of Carl Jung. One of the things that has struck me since I recently began to earnestly probe the life and work of this hugely influential individual - only within the six or seven months - is how I have managed to live this long without encountering his writing, and the tremendous influence he has had, not least upon our understanding of mythology, but of the collective unconscious and the archetypes that emerge from some sincere yet imponderable depth within us. Marie-Louise Franz's biography, 'C.G. Jung - His Myth in Our Time', was one of the most exciting things I've ever read, and now I am following up with Laurens van der Post's 1976 biography, 'Jung and the Story of our Time', which I have to admit I find equally enthralling. 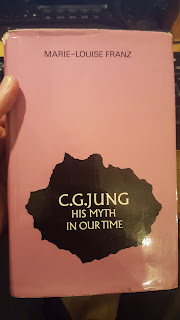 I have read a limited amount of Jung's own writing, but in not untypical fashion I sometimes find that an account of a person of such greatness by a third party - in both these cases people who were lucky enough to know Jung while he was alive - provides a fuller insight into not just their work, but their whole being. In a similar vein, my prejudice towards the biographer, if it hadn't been immediately obvious, was manifested in the case of Nietzsche when I found myself underlining and highlighting many more passages in a Janko Lavrin biography of him than I did in Nietzsche's own work, 'Beyond Good and Evil'. In many respects, I had already met Carl Gustav Jung, through the work of someone who has often been described as a Jungian disciple, Joseph Campbell. Campbell's work crossed into fields of common interest with my own researches into the myths of the Boyne Valley and Ireland, and indeed became firmly focused in my crosshairs when his discussion of a myth about Venus shining into Newgrange once in eight years set the hairs on the back of my neck all tingling in one of many great and exciting revelations that occurred while I was researching for 'Island of the Setting Sun'. Campbell was, I now realise, a stepping stone on the crossing of a great river, towards an even more fertile land, inhabited by the thoughts and works of a person of such great standing in the human story that it can be suggested, even though subjectively, that he deserved to stand alone from the human race, deified perhaps by those of us who can only tread gently in his shadow, so great and yet gentle is his presence in the great work of understanding the sacred, and the symbol, and the myths of mankind, and indeed his participation in the great mystery of his own existence. And so I followed by bliss, and my bliss led me to Newgrange, and thereafter to the works of C.G. Jung. 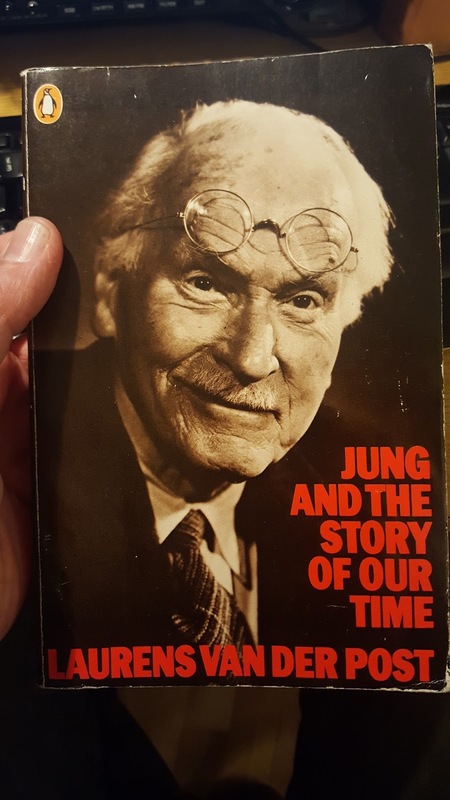 Van der Post's biography of Jung. "The Rhine is one of the great mythological rivers of the world, not yielding place to the other immense mythological rivers representing the searching and inquiring spirits of men and their cultures, such as the Ganges, the Nile, the Yellow River of China and so on. But unlike those rivers which appear as rivers of light, resolution and are full of a natural, maternal solitude for life, the Rhine is a dark, angry and outraged masculine stream ... It was as if the Rhine had its source in the heart of the darkness of European history." "Like Heine, I could not understand why it should make me feel sad when the tops of the hills above the Rhine sparkled in a long evening sunlight of summer. I wondered why the story of Lorelei should trouble me? ... Perhaps it was because the imagery evoked by Heine of the feminine being of irresistible beauty and siren song, combing out her hair of gold with a comb of gold, represented all the feminine values which European man, particularly German man, had rejected. German culture, embedded as it was in a civilisation almost entirely man-made, was deliberately and wilfully masculine." In fact, van der Post wrote, "the infinitely renewing and renewable moon that swings the sea of change and symbolises all that is eternally feminine in the spirit of man, by some ominous perversity ... was rendered into a fixed and immutable masculinity." And I thought, upon reading all the above, that no-one who had lived by the shores of the Boyne river, having heard her gentle lappings or the incessant babbling of her salmon weirs, could ever go to war against another man, or tribe, or nation. Naively, perhaps, I thought that a feminine name and a feminine myth were enough to ensure that those of us who lived within hearing distance of the bright cow river had within our grasp some sense of the feminine aspect of ourselves, allowing it some balance with the masculine in order that some good human decency would prevail that would impel us not towards conflict with our brethern in the greater world, but towards some greater accord. The moon, I felt, was itself a bright wandering cow, and in my own work I had been satisfied that Bóinn represented more than just the river which has her name - she was river, but also moon and Milky Way. The Boyne ... a river with a feminine identity and feminine mythology. Ireland did not have a "father" identity (like Germany or Japan), rather being named Éire, after one of a triune of goddesses. We did not make war, but rather we suffered it, and often were the unnecessary victims or players in someone else's conflict, or someone else's incursions upon Éire's sovereignty. 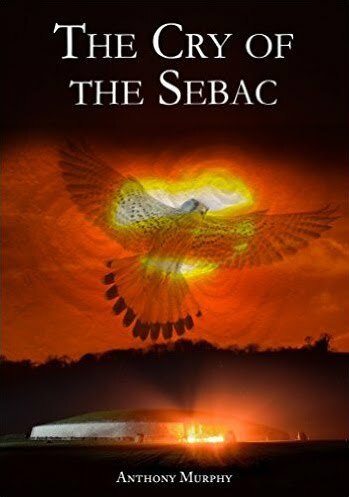 This is written indelibly into our mytho-historical story, exemplified in the Lebor Gabála, the Book of Invasions, which has been imprinted upon the very essence of our spirit as a people. Inflame the hours of blue and gray." And when I stood by Bóinn's shore, beneath looming Rosnaree, the wood of the king, I watched in flame the grafted embers of that twilight vision, of cherished things that were no more than barely formed thoughts, flowing down in a stream from hills beyond sight. 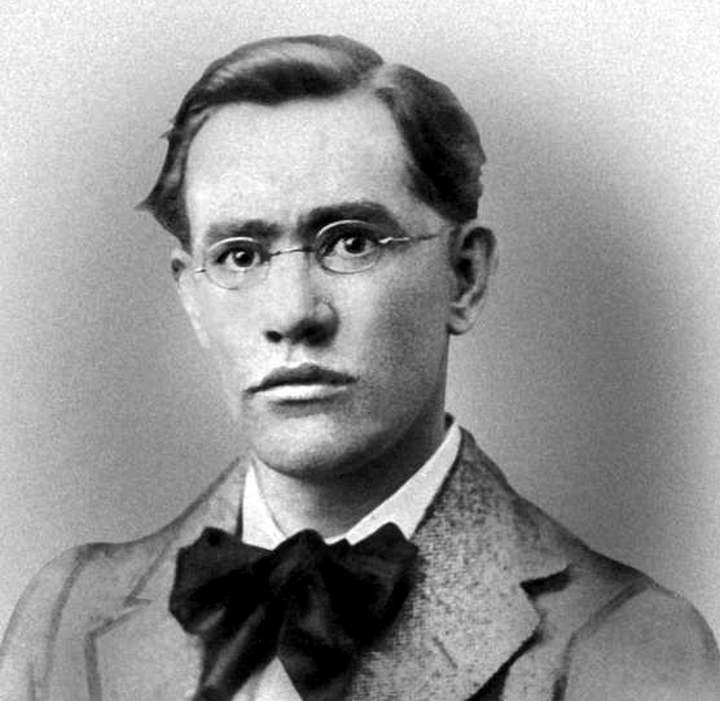 And there, glistening in a pool of Bóinn's tender making, the relinquished dreams of that Éire passed into song would be gloriously resuscitated by the ancient poet, a Ledwidge in the guise of Finegas the Wise, singing merrily by the shore in an Ireland that is more famous for song than sword. And we could not make kings of Jung nor Ledwidge nor Finegas, for even as a king at Rosnaree, I was, in the words of Shirley, sceptered and crowned, yet I tumbled down, and in the dust I was equal made with the poor crooked scythe and spade. Often have I stood by Bóinn's brooding waters in the blue hour of evening, after the sun's departure, and listened there for the sounds of those stories of ancient glory, sweetly told. I never realised how that unfathomable something within my deeper self could be so brilliantly exemplified in the symbolism and sound of water until I had spent many a lonely hour in her presence. And maybe from now on, lingering at Bóinn's border as I ponder incessantly at the edge of the unfathomable, I will tip my hat to the great C.G. Jung, whose whole work, in the words of van der Post, "was the rediscovery of the great feminine objective within the objective psyche of man, as to make possible as never before a reconciliation of the masculine and feminine elements in life." I realise that I haven't written a blog post in a while. It's not that I haven't been doing anything. Quite the opposite. One of the things that's been keeping me busy is photography. Among many other things, I've been tracking the northerly progress of the sunsets over the past month or so as we march inevitably towards summer solstice and the longest days of the year. It's just over three weeks away now, and as much as I love this time of year, personally watching the sunsets is always tinged with sadness for me. And in this blog post, I will attempt to explain why. The sadness finds its source in a number of places. I think that its difficult to live at any latitude so removed from the equator that the difference in the length of day from midwinter to midsummer is enormous. It's not so difficult to live in Ireland in summer, when the days are long and there is a great spurt of life and growth evident all around. Winter is a very different story. The days are short, and are often shortened further by a darkness that is creeping and all-encompassing. Immersed in this darkness, all you can do is accept it, and perhaps embrace it, and wait for the days to lengthen. A recent sunset over the Boyne from Millmount. Summer then arrives rather abruptly. In late March, the clocks go forward by an hour. Where previously the sun was setting around 6pm, now it sets at 7, and it doesn't get dark until nearly 8. Because it's the time of equinox, the sun's rising and setting positions on the eastern and western horizons are moving at their greatest speed. The days are getting longer rapidly from Imbolc (the ancient Celtic spring festival of early February), through spring equinox, and on towards Bealtaine (early May). Before Daylight Saving Time kicks in, you are probably driving to and from work in the dark, and find that the only daylight activities you can partake in (apart from whatever work you do) are at weekends, when you try to "cram it all in". 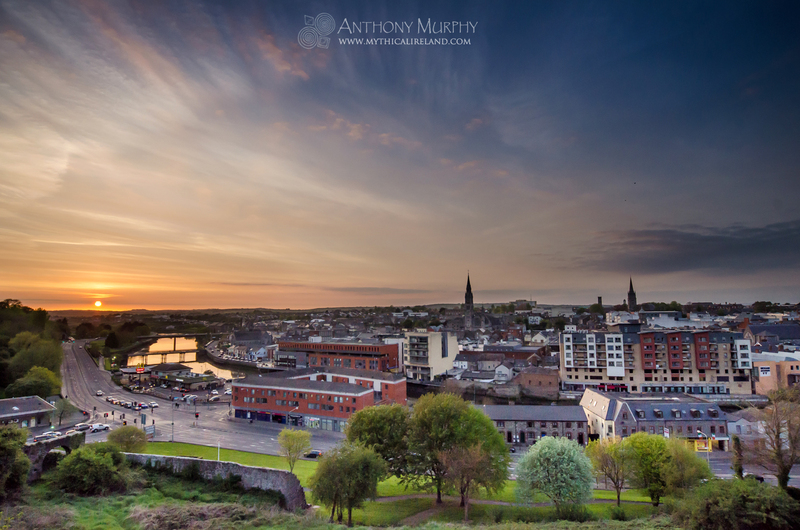 From late March onward, you can start to enjoy the "stretch in the evenings", as it is commonly referred to here in Ireland. And very quickly, within a month, you've gone from driving home in the dark to enjoying brightness until well after 9pm. 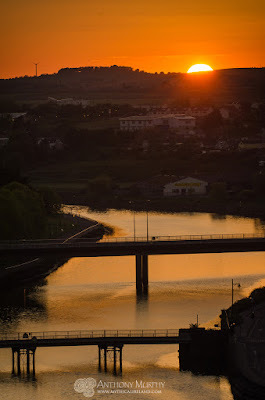 Tonight, (May 29th, 2016) I watched and photographed the sun as it went down beneath the horizon from Millmount, a mound said to have been built by the Normans in the 12th century, but which local folklore says is an ancient burial mound. The sun finally disappeared beneath the horizon at 9.33pm. As I write, it's 10.29pm and it's still not dark. Now don't get me wrong. I love this time of year. And I love the long evenings. I enjoy the extra light. It invigorates my spirit. There is something about the lingering of the light that I have always connected with hope, and vitality. I suppose there's probably nothing unusual about that. However, part of the sadness that I feel, even at this time of year, stems from the realisation that inevitably the sun will reach a certain maximum setting azimuth and, after halting there for a few days, will begin to start heading south again. No sooner do the glorious days of summer arrive and suddenly the pendulum swings against us. From Millmount, the sun at midsummer appears to set over Hill of Rath, in the direction of another hill at Collon known as the Black Hill. I wonder if this name is one of many place names in Ireland that might possibly be explained through such astronomical alignments. Is it called the Black Hill because it marks the place from which the sun turns back, towards the shorter days and darker evenings? 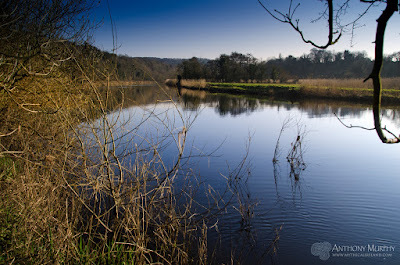 Today was a particularly glorious day in the Boyne Valley. It was warm and sunny and the whole valley is alive with the business of summer. People were out in droves, walking, playing, relaxing. It was one of those days when you might say to yourself, "if it was like this all the time you'd never want to leave." But some of us are so married to the place - despite the sometimes endless rain, and the short cold days of winter - that we never leave it anyway. The swifts and swallows and house martins, having recently arrived back from their faraway wintering grounds in Africa, perhaps conversely remind us of our own rooting to place, our connection to home, something that, until the invention of powered flight, was largely intrinsic to our lives as humans. We might have ventured across the globe as a species, but locally, once we find home, we tend to stay there. And sometimes, bound to that spot on the earth by our sense of belonging, and perhaps reinforced by our sense of community, we might wish that, like the swallow, we could just alight into the great air and fly off somewhere else for the winter, leaving the harsh chill behind. One of the other things that makes me sad, even on these lovely long evenings of summer, is the fact that the relentless movement of the sun, and the consequent brightening and darkening of the days, is an eternal reminder of the fleeting and changing nature of our own lives. There, reflected in the everyday movements of that golden ball upon which we depend for so much, we see in vivid reality the corruptible nature of our own carnal selves. Just as the day rises tentatively in the east, and the noon comes brightly to strengthen the day, the evening arrives all too swiftly and the day is spent. All this is extended and magnified in the great drama of the seasons, and all too quickly the autumn arrives, with its fallen leaves and drooping spirits ushering in the harsh winter. The setting sun in early May viewed from Millmount. So even as we watch the sun dropping down onto the far green-grey hills in the warm evening, we contemplate the relentless march of time, and of season, and how the winters and summers rise and fall with alarming haste. And we think back, perhaps, to the metaphorical dark and bright seasons in our own lives - times when we might have enjoyed a fulsome vitality, or times when maybe there was darkness or a lack of light. We might think of people - friends, relatives or acquaintances - upon whose lives the sun set all too soon. All of which gives us good reason to enjoy, as much as possible, while we have the time, and while we might be able to, the glorious coming of the long evenings of summer. And perhaps, as we watch that sinking red orb strike the horizon, we might remember also the ancient ancestors who possibly stood at the same spot and watched that same sun disappear into the earth.